Morehead State Women's Track & Field freshman Dakorria Winstead set an MSU record for the 60-meter dash, timing in at 8.08 seconds at the Thundering Herd Invitational Saturday afternoon. The Owensboro native's performance surpassed her performance the week previous at the Marshall Women's Classic, where she also set a then-best school record (8.22 seconds) in the same event, alongside junior Maya Andrews, who clocked in with an identical pace. Joining Winstead in the vain of top-10's this weekend was junior Caitlin Cunningham, who ran in the 5000-meter dash, placing fourth and came in with a time of 17:43.97. Fellow freshman Alyssa Coleman paced the Eagles with a 26.24 in the 200-meter dash, placing ninth overall. 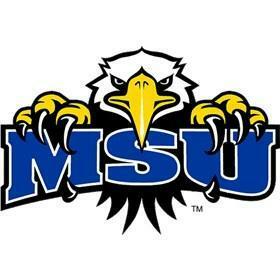 Morehead State returns to the indoor track in Huntington on February 8th& 9th, participating in the Marshall Invitational. Morehead State cheerleading added to its unmatched success this weekend at the UCA National Championships in Orlando as the coed squad won its fourth consecutive title, while the four-person all-girl stunt team also claimed a national championship. The coed unit won an unprecedented 27th national title since the program began competing in 1988. The stunt team of Priscilla Thorn, Shelby Snider, Madison Paige, and Raven Marti also rose to the top, winning its first national title.